The Inferior Mesenteric Vein is formed when the superior rectal vein when goes upward in continuation. It then goes up behind the peritoneum lateral to the inferior mesenteric artery. 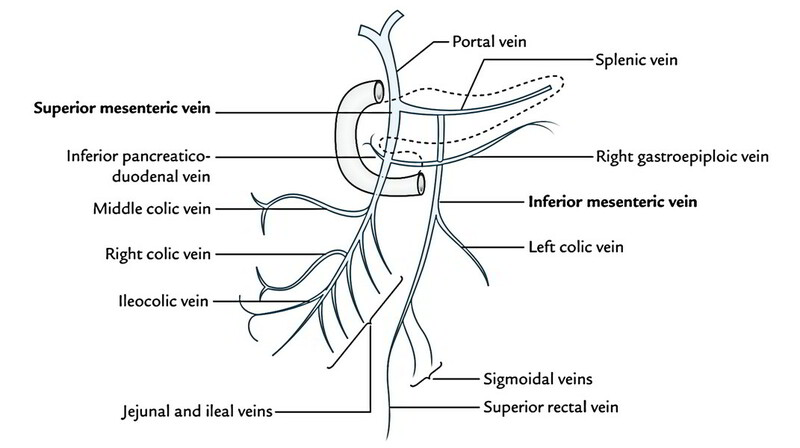 After which it enters lateral to the duodenojejunal flexure and from the back of the left of renalvein to terminate by joining the splenic vein supporting the pancreas. In this, it might change its position to the right and join the superior mesenteric vein or its junction together with the splenic vein. The tributaries of the inferior mesenteric vein correspond to the branches of the inferior mesenteric artery.